Liesl Shurtliff is a New York Times bestselling and award-winning author of books for young readers. 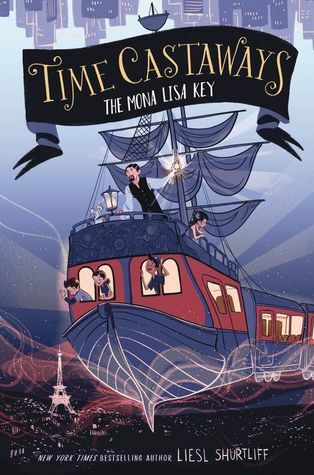 Her latest book is the first in a new time-travel adventure trilogy, TIME CASTAWAYS: The Mona Lisa Key from KatherineTegen/HarperCollins. Other books include RUMP, JACK, RED, and GRUMP, all part of the (Fairly) True Tales series from Knopf/Random House. Liesl was born and raised in Salt Lake City, Utah, with the mountains for her playground. Before she became a writer, Liesl graduated from Brigham Young University with a degree in music, dance, and theater. She now lives in Chicago with her husband and four children. Visit her online at www.lieslshurtliff.com and @lieslshurtliff everywhere.